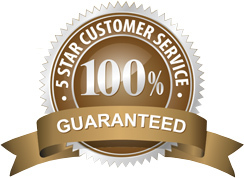 Reliability, Cost Effectiveness And Five Star Customer Service. Signal can arrange a complete rubbish removal and recycling solution that is tailor made to suit your individual company's requirements. Grease traps, septic tank, oil arrestor, wash bays, waste water, paints, oils, thinners and sludges. Reduce the hours that you spend shredding and let Signal shred your confidential business records for you. Ongoing waste management solutions or a once off site cleanup. 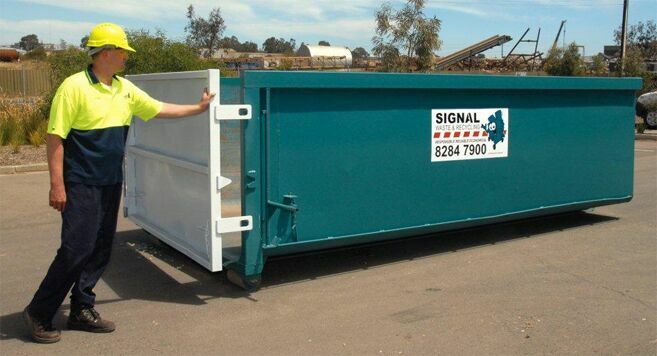 Signal has the right size bin to suit all types of industry, business and residential. Signal Waste & Recycling is a South Australian owned and operated waste disposal and recycling company. 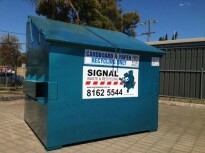 Signal Waste has serviced Adelaide with our rubbish removal and waste management services since 1989. We specialise in waste and recycling services including: general waste collection and rubbish removal, cardboard recycling, paper recycling, scrap metal recycling, plastic recycling, mixed recycling, resource recovery, co-mingled collection, confidential shredding and liquid waste disposal. We service the Australian commercial, industrial, local, state and government sectors. We can arrange a complete waste and recycling solution that is tailor made to suit your individual company’s requirements. We provide a diverse range of products and services including front lift compaction bins, waste bins, rubbish bins, recycling bins, confidential paper bins, walk in roll on roll off bins, hook lift bins, bulk bins, wheelie bins, rear lift bins, onsite compactors, recycling containers, waste and recycling audits, while encouraging waste minimisation and recycling programs such as, our landfill diversion program. It is a well known fact that recycling waste where possible has a huge impact on the amount of waste that ends up in landfill. Signal Waste & Recycling are a waste and recycling company based in South Australia who work closely with regulatory agencies including Zero Waste and the EPA. We are committed to waste management and reduction in the private, commercial, industrial, local, state and federal government sectors. Recycling is a process of being able to reuse something once it's current use has stopped. 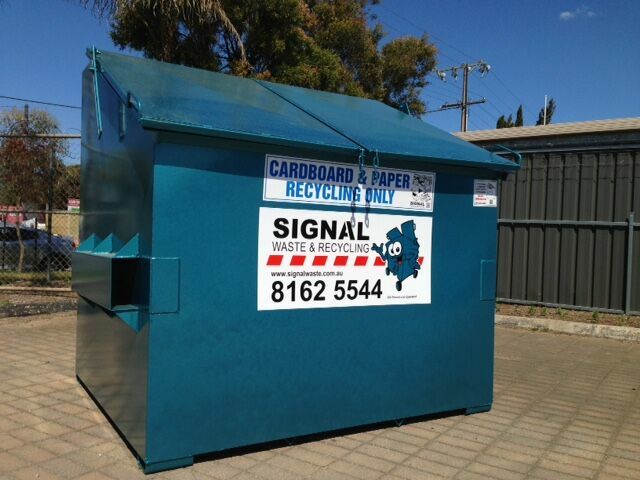 Signal Waste & Recycling has a huge range of recycling options within Adelaide, including providing recycling bins, to assist residents to recycle what they no longer use. Examples of things we recycle are paper and cardboard, plastics, fluro tubes, wood and green waste, bottles and cans, E waste, oil, batteries and much more. Confidential, outdated or sensitive information documents need to be destroyed in an efficient and cost effective manner. Signal Waste & Recycling can provide your workplace with a shredding bin to help manage such documents, all while recycling the shredded paper to be used again! We can do once off collections or a scheduled service. For your peace of mind, we provide you with a certificate of destruction if requested. So what's the big picture about waste in SA? The SA government has developed a Zero Waste program which aims to reduce landfill by 35% by 2020. As ambitious as it sounds, this achievement will require action by many different bodies and organisations accross SA. Signal Waste & Recycling are a privately owned South Australian company who are committed to Zero Waste's landfill reduction goal. We are constantly reviewing our performance to ensure we stay up to date and with world best practices leading our technologies and waste solutions. By servicing residential and commercial sectors, our services are better spread and can reach more waste areas than other companies. Signal Waste & Recycling are one of the most effective and efficient waste reduction companies in South Australia. We guarantee it! You can have full confidence that Signal will get the job done. Signal waste and recycling provides a one stop shop for all industrial waste management requirements. The Signal service includes waste removal, recycling services, rubbish removal, cardboard recycling, paper recycling, plastic recycling, bin hire, liquid waste removal, confidential document destruction, shredding services, product destruction, fluorescent tube recycling, battery and scrap metal recycling. Our knowledge and expertise comes from over 20 years of experience in the waste and recycling industry. We pride ourselves as the number one waste to resource and recycling company in South Australia.